'Doorways to Freedom' is a story in which animals are travelling through doorways into an alternate reality - one in which they are safe from harm and nurtured. 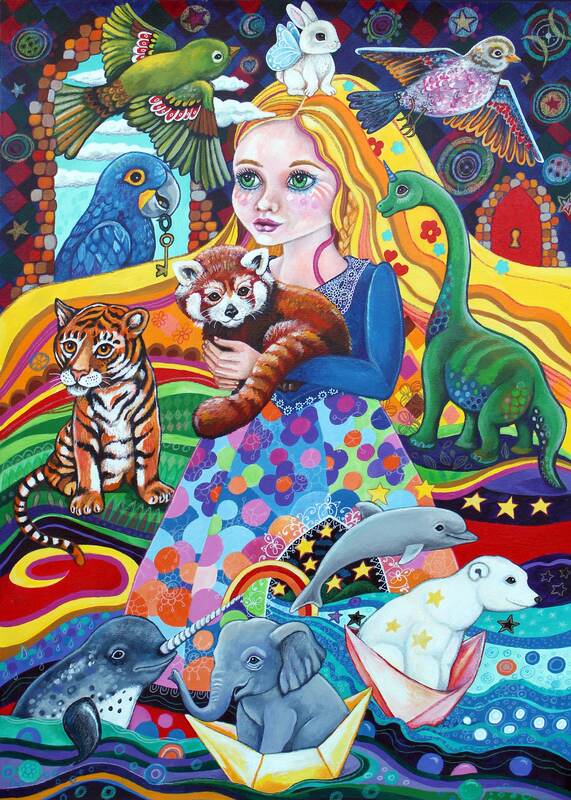 The animals are mainly those who are endangered here on Earth and the girl represents the Earth Mother in all of us. The closed door is a symbol of the potential we have here on Earth - our world can also be a safe haven for animals if we choose to take the key and unlock the portal within our own hearts. This fine art print is printed with archival ink on archival paper. The size of the paper is A3 (297 x 420mm / 11.6 x 16.5 inches). Thank you so much for looking at my art!